Kent House Hospital and School raised money for Bromley, Lewisham & Greenwich Mind in July 2018. Kent House is a hospital in Orpington for young people aged 12 – 18 years with mental health, behavioural or psychological difficulties, and a registered school supporting young people with educational attainment. The school provides lessons in all sorts of different subjects such as Maths, English and Science) as well as ICT, CoPE (Certificate of Personal Excellence) in Employability and Hair and Beauty. Throughout the year, young people/students run Pop Up Salons as simulated professional salons. 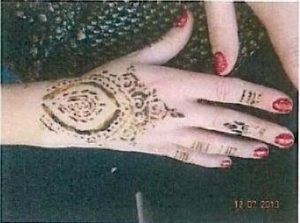 Young people practice and apply their employment, hair and beauty skills, offering staff hand/feet treatments, nails painting, henna tattoos and hair plaiting, for small donations. At the most recent Pop Up Salon in July 2018, young people chose Bromley, Lewisham & Greenwich Mind as their local charity and raised £145.20. Bromley, Lewisham & Greenwich Mind would like to thank the staff and young people at Kent House Hospital and School for their fundraising efforts.